With the LEF-200, users can print graphics directly onto items such as smart phone covers and promotional products, with incredible detail and colour. Now featuring an on-board Primer ink option, it’s easier than ever to print onto glass and other unique materials. Stretching around the most complex corners and curves, advanced Roland ECO-UV inks in CMYK, White and Clear (gloss) formulations are designed for both flexibility and beautiful imaging. Clear (gloss) ink options offer spot gloss or matte finishes as well as stylish embossed effects. White ink is also available for adding touches of brilliance and to ensure bright colour quality on dark or clear substrates. The LEF-200 features an on-board Primer ink option for priming objects quickly and conveniently onto glass, plastic and more. Users can easily prep an object for customization – printing Primer ink directly from a file in Roland VersaWorks Dual RIP before printing the full-color graphic. This makes adding graphics to challenging materials much cleaner and more efficient. 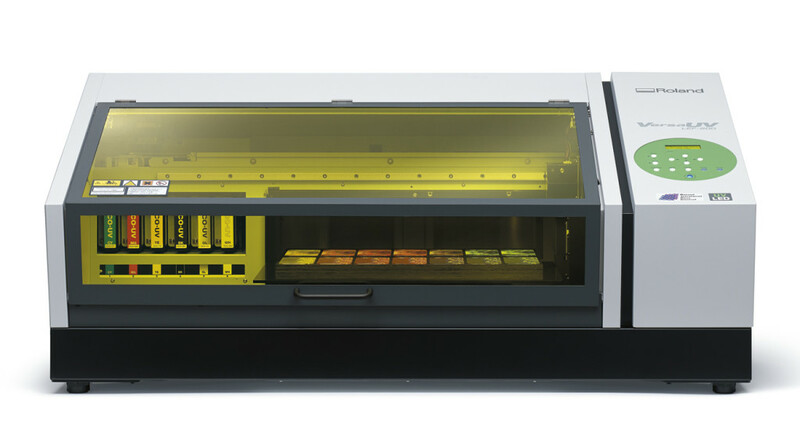 The LEF-200 includes VersaWorks Dual RIP software, featuring a new core engine for faster previewing times and improved handling of PDF and EPS files, including files with drop-shadows and transparencies. There is no need to return to design software and you can set-up special colour plates like White, Clear (gloss) and Primer directly in the RIP software. In addition, you can rotate, set spacing and maintain clipped position within the RIP to give you more control when printing graphics and applying special colour effects. Equipped with long-life LED UV-curing lamp, the LEF-200 requires no warm-up time, making it efficient to use and cool to touch. Moreover, the LEF-200 features an enclosed airtight cover to protect the operator from UV light during operation and prevent dust falling on the surface of materials whilst printing.